I’m way excited – I just found out there is going to be another Sewing Summit for 2013. For anyone who hasn’t heard, this is a weekend long modern sewing retreat. After attending QuiltCon earlier in the year but being too far away to attend Sew South, I’m thrilled to join up with other modern sewists for Sewing Summit later this year. Here’s what I know so far – it runs from September 19th-21st in Salt Lake City, Utah and as of today, registration is still open. I didn’t attend the previous 2 years but I’ve heard from a few other blogger friends that it was a blast, so this year I signed up right away! 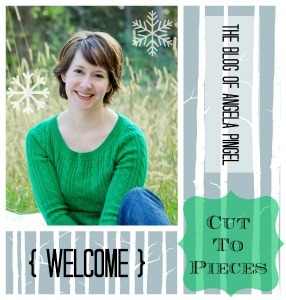 Two of the blogs that I sponsor, Angela Pingel from Cut to Pieces, and Jeni Baker from In Color Order are going to be among many of the amazing teachers! Whoo-hoo this is going to be fun! So, who else is going?? Sew and Tell Baby French Roses #7 – Finished! I really want to go and had actually planned and saved for it but the unexpected purchase of my new-to-me longarm machine and frame used up all that savings. I am going!! So incredibly excited!! I SOOOOO wish I was going. but maybe another year I will be able to make it. The teachers this year are going to be awesome. Would love to go, but too far for me. Are there any retreats or summits in the New England area that you know of?